By replacing the old bridge with a new bridge, now, assures the traveling public that they will make it to the other side safely in future crossings. This bridge is located in Columbia county, Florida on CR-245, which is in District 2 of the Florida department of transportation. 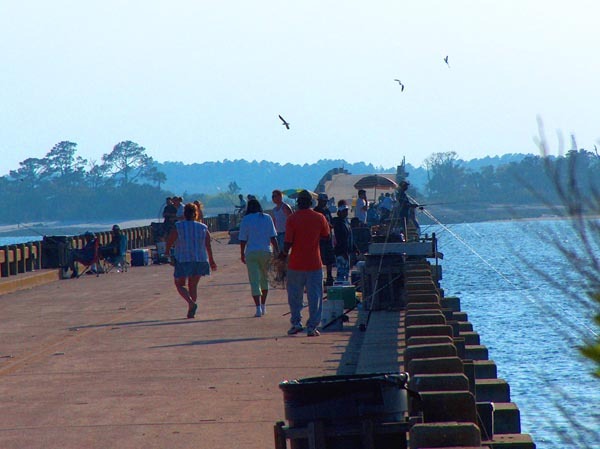 George Crady Bridge state fishing pier, located in Nassau county, Florida, was once a bridge segment of SR-105 (Heckscher Drive), also known as A1A, 1st Coast Hwy., and Buccaneer Trail, until the new bridge was completed. Now the old bridge is open to all communities for all types of fun in the sun. 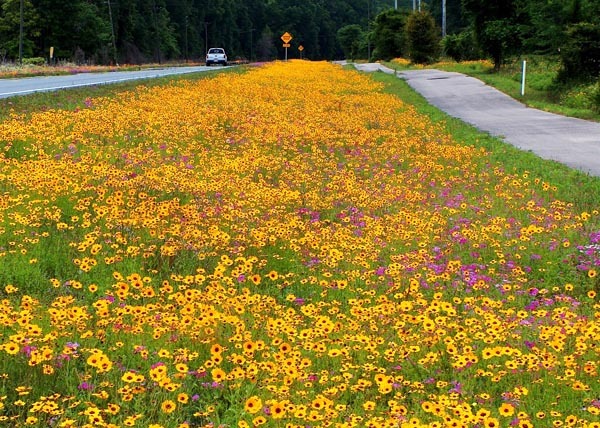 It’s spring time on this section of US 27, which is located in Columbia county, just west of the town of Ft. White, parallel to US 27 is the Ichetucknee to O’Leno trail. This 12 mile paved path connects two north central Florida state parks, Ichetucknee Springs and O’Leno. 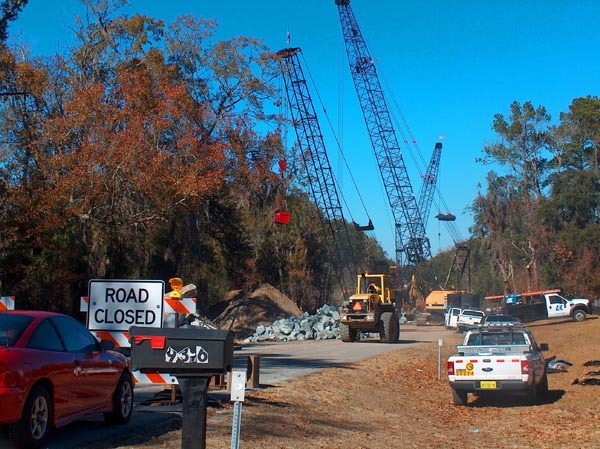 Near the town of Bradford, Florida, which is located in Suwannee County, in District 2 of the Florida department of transportation. 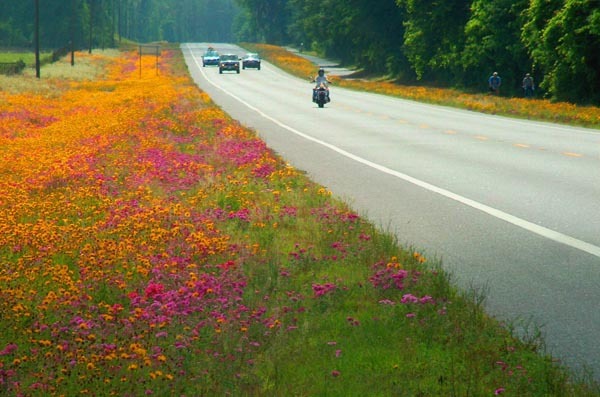 US-27 is the highway, alongside the highway is the former CSX railroad corridor, this 11.5 mile paved trail runs from the Suwannee river to the Ichetucknee river. 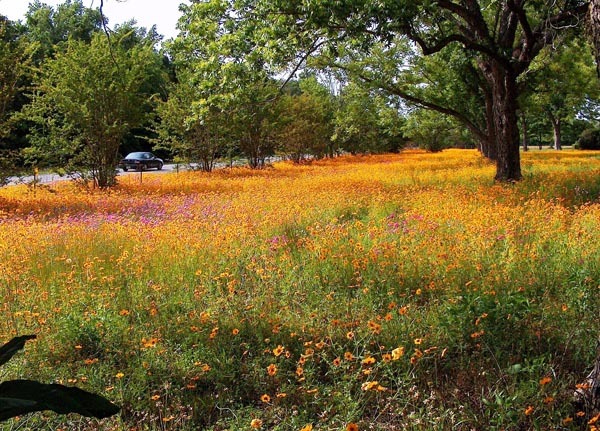 Looking through a pecan orchard at the colorful wildflowers blooming along US 129, located in Suwannee county, which is in District 2 of the Florida department of transportation. 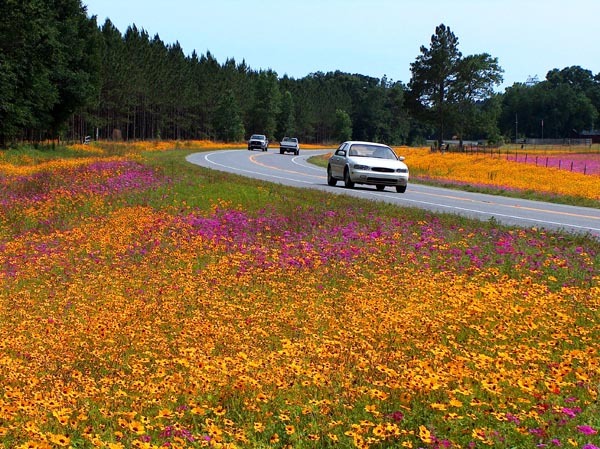 Florida’s beautiful spring time wildflowers in full bloom along US Highway 129, located in Suwannee county, Florida.